Posted on October 8, 2018 at 6:36 pm. Q1) Why does our Vaillant boiler keep intermittently failing and showing an F.61 fault code? Q2) When the F.61 fault error code shows and our Vaillant boiler shuts down, why is it that it’s always when someone is having a shower? Q3) Will continually resetting the boiler for any of the fault error codes F.61, F.62, F.63, F.64 or F.27 cause further problems with our Vaillant ecoTEC boiler? Q4) How would a Gas Safe Registered engineer know what parts were defective in the boiler, and which ones would require replacing to resolve an F.62 fault code problem? Q5) Can you explain a bit more about a malfunction between the Gas valve and PCB’s operation? Q6) I’m getting an F.63 fault code, but I’ve had F.61, F.62 & F.64 fault codes previously, could they all be linked to the same defect? Q7) If the engineer’s diagnosis points to a PCB or Gas valve replacement, will they have to order parts? Q8) What other F. codes can show, when either the PCB or Gas valve are intermittently failing, as with my F.27 fault? Q9) Can repeated resetting of our Vaillant boiler for an F.64 fault code increase the risk from Carbon monoxide (CO) poisoning? Q10) Is it not as expensive to replace a faulty PCB on the older Vaillant 2005-2012 R1 & R2 ecoTEC, as it is on the later ecoTEC 2 plus & pro boilers? The F.61 fault code error appearing regularly on your boiler’s digital display screen, which then makes the boiler cut out and stop working, is happening because there’s an ongoing intermittent technical problem or failure occurring when the ecoTEC plus or pro is in its operation mode. When the reset button is pressed in (on the control panel), the F.61 fault error code clears, and the boiler will commence it’s operation once again, but unfortunately only to trip-out again, after a short period of time. This is because the fault in the boiler has not been resolved, so the cycle of the boiler going to F.61 fairly frequently, just continues. When your boiler is in full operation mode and the shower is in use, or when hot water is being drawn off, for example, the boiler will be running at, or very close to, it’s maximum operating capacity, this would trigger in most instances, the F.61 fault error. Customers do seem to report most instances of the F.61 problem happening when the shower is being used, more so than reports of the fault code occurring when the boiler is in it’s heating mode. Constantly resetting the boiler after a fault error code shuts off the boiler and is not recommended therefore, if this action is continued, it could possibly bring other problems into play, as well as safety issues. Our best advice is, if any of the F.61, F.62, F.63, F.64, or F.27 fault codes appear on your ecoTEC combi boiler, the boiler needs repairing by a professional Vaillant specialist company, preferably on a one-off fixed price repair and should be completed as soon as possible. Vaillant includes in their manual, for the fault code of F.62 on the ecoTEC plus or pro boiler, a listed fault of’ “Gas valve shutoff delay” for this, which is returned for that specific F.62 fault code issue. A starting point for competent Gas service engineers would probably be to carry out component testing procedures, starting with the Gas valve, which would be to check for defects within that component. There may also be a need to examine further, other components within the boiler, such as the PCB, (printed circuit board) if that was suspected in any way of being faulty. This procedure would continue until the defective part or parts in the boiler were identified and if needed, replaced. Integral boiler components such as the Gas valve and PCB, can develop faulty wiring connections between each of the two parts and can make the boiler stop working. So this malfunction must only be investigated by a competent and suitably qualified engineer, who may look to see if the fault is being caused by a short circuit defect in the wiring harness to the Gas valve. Another possibility is that the Gas valve coils may be defective, which would cause the Gas valve to leak to earth (ground), causing a failure or the problem/issue could involve the boiler’s electronic control system. Any of these suggested defects could be responsible for the boiler going to fault error code. We, at Glowcare find, more often than not, that it’s a faulty PCB causing the problems or failure. Expertise, knowledge and thorough know-how are always important. Make sure you consult an experienced service engineer when thinking about repairs to your Vaillant ecoTEC plus or pro boiler. The actual cause of your boiler’s specific F.63 fault code error, should come to light once a suitably qualified Gas service technician carries out a thorough and detailed fault diagnosis of your Vaillant ecoTEC. Plus or pro boilers with intermittent failure, displaying either an F.61, F.62, F.63 or F.64 fault code error, can possibly all be displayed separately and at different times, but the cause can have resulted, from a single fault or possibly one defective component. We ourselves find that, in the main, if a customer’s boiler has either a fault error of F61, F62, F63, F64 or F27, that a part replacement repair will, more than not, be required. Diagnosing the fault would initially start by identifying any defects on the PCB (printed circuit board), or if the PCB is functioning correctly, then the Gas valve would be tested next to check if this component was the source of the F code issues. If neither the PCB or Gas valve are defective, then in some cases (rarely though) it can involve the boiler’s electrode or ignition cable, or their wiring connections found to be causing these fault code problems. Many boiler repair companies who attend Vaillant ecoTEC pro or plus repairs or breakdowns, in their locality, may not necessarily be carrying the actual PCB (example part number 0020132764) or Gas valve you would need to get the boiler fixed and working again, unfortunately! So, if this is the case, any replacement parts that would be required to complete the repair, may well have to be scheduled in for a return visit, at another time. We at Glowcare are specialists for Vaillant boilers. We are a Vaillant UK official service agency for North West England, so as you would expect, we carry a full dedicated van stock of genuine Vaillant spare parts for the Vaillant ecoTEC plus & pro boiler range, ensuring for our customers that their boiler repair gets completed in just a single visit. It is possible to see any one of these fault codes, F.61, F.62, F.63, F.64, F.65 & F.67 singularly, each being a separate fault, and over time, related to a faulty Vaillant PCB or leaking Gas valve. It can be a fault code error of F.27 (as with your fault), listed as a flame sensing issue, to fault codes of: F.61, Gas valve control defective, F.62, Gas valve shutoff delay, F.63, EEPROM error, F.64, Electronics/NTC fault, F.65, Electronics temperature too high, and F.67, code listed as Flame detector input signal is outside the limits (0 or 5 V). All can be displayed on the Vaillant ecoTEC plus or pro boilers, mostly involving the PCB or the Gas valve causing the F fault code error/problem. Your ecoTEC is designed so an F.64 fault code error can be reset easily and safely. It also doesn’t indicate anywhere, that increased pressing of the reset button will lead to Carbon monoxide (CO) being produced. However, the technical issue or fault that’s causing the increased need to reset your boiler, should be investigated urgently. So provided your Vaillant’s maintenance schedule procedures are adhered to, by having an Annual Service carried out on your boiler, frequent resetting should not increase the risk from Carbon monoxide (CO) poisoning. Because Carbon monoxide (CO) has no smell, can’t be seen, and has no taste, if it escapes into the atmosphere it can rise to lethal levels within minutes, causing death. If not fatal, it can cause people who are exposed and poisoned by it, to require emergency treatment in hospital. Carbon monoxide (CO) is not called the silent killer for nothing. With this in mind, good, regular servicing of your Gas boiler and the installation of appropriately positioned (CO) alarms are strongly advised. Q10) Is it not as expensive to replace a faulty PCB on the older Vaillant (2005-2012) R1 & R2 ecoTEC boilers, as it is on the later ecoTEC 2 plus & pro boilers? Yes that’s right, the pre-2012 Vaillant ecoTEC R1 PCB, part number 0020132764 (which superseded part number 0020107811), is about 10-20% cheaper to buy than the latest PCB on the ecoTEC 2 plus or pro boiler, PCB part number 0020254533 (which superseded part number 0020135165). 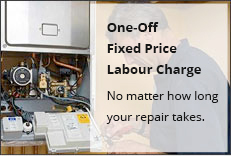 As for who to use for your boiler repair, if you choose wisely and call a Vaillant service specialist, they will be able to carry out a single visit, expert repair on your boiler. They will carry with them the PCB needed for the repair as van stock, using Genuine Vaillant spare parts. Also with paying for a fixed price one-off repair, you will know soon after the engineer’s arrival, the complete cost of the repair. 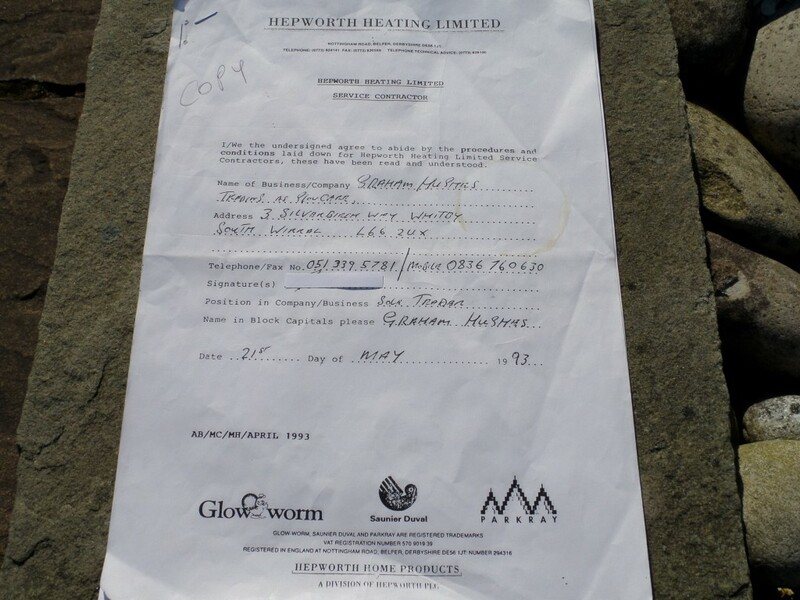 The other repair option, would be to call a local boiler engineer, and see how their charges work (remembering that they may well have to go away to purchase the PCB, and return later to fit the part, which would probably increase the total cost of the repair). Bearing this in mind, the cost and the convenience of the repair, would probably favour the Vaillant specialist engineer. Posted on September 23, 2018 at 8:23 am. What is the cost of a Vaillant service for Vaillant ecoTEC plus or pro boilers? It should be very achievable for under £70 anywhere in the UK. Whether it is for your Vaillant boiler Warranty Qualifying Service (which you need to have carried out at the end of each year, to keep your Vaillant ecoTEC’s guarantee valid), or it is just maybe that it’s time for the boiler’s annual service. 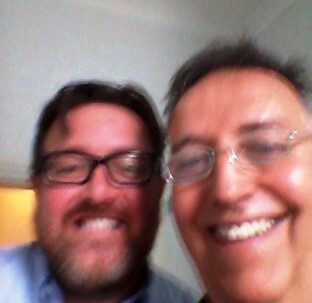 Providing there are no faults with your Vaillant, and it’s all working fine (i.e. no problems with the heating or hot water), then a straightforward boiler service (no parts needed) under £70 as a maximum price, is definitely achievable. 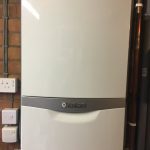 Glowcare carry-out annual servicing for the Vaillant ecoTEC plus and pro boiler range, in Greater Manchester, Cheshire, Liverpool, and surrounding areas. Posted on August 12, 2018 at 6:56 pm. Firstly, in our experience (covering North West England since 1992) a leak on a Vaillant Diverter valve ecoTEC plus or ecoTEC pro boiler, is actually quite a rare fault or failure to have, taking into consideration just how many ecoTECs there are actually out there! This is contrary to what we are led to believe. Now, I know, if your own boiler is suffering from this concerning problem and water is dripping out of the Diverter valve down on to your work surface, well you will probably, find this very hard to understand. There are possibly many hundreds of thousands of Vaillant ecoTEC combi boilers out there, and only a very small fraction, of these excellent boilers actually ever develop a leaking fault from the Diverter valve! We here at Glowcare, being Vaillant’s North West service agent for Gt Manchester, Cheshire and surrounding areas for over 20 years, have found that approximately over 95% of the ecoTEC boilers, never develop a leak on the Diverter valve, confirming that the valve itself is not the real cause of the problem. So if the valve is fine under normal circumstances, what’s causing these few to leak? In our experienced opinion, it is more or less always the case, that dirty, contaminated water in the heating system causes a brown coloured staining to appear on the piston rod in the Diverter valve. This allows system water over time to drip past the small O-ring seal in the valve resulting in the leak. Sometimes, when carrying out an Annual Service on a Vaillant ecoTEC plus or ecoTEC pro boiler, if the water in the customer’s heating system is contaminated or contains very dirty water, the brown staining marking on the Diverter valve piston rod, may well have already begun to show, but not have yet started to leak past the valve O-ring seal. In our opinion, the black plastic-bodied ecoTEC Diverter valves (out of the two different types of valve) probably get more leaking problems with them, than the brass valves do. 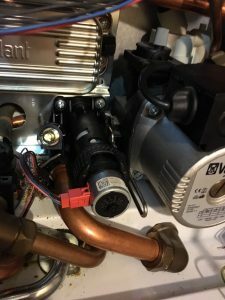 The plastic-bodied valves are mostly fitted in the Vaillant ecoTEC pro 24 and ecoTEC pro 28 boiler models, with the ecoTEC plus using both types of valves, on different models within the plus range. The plastic valve typically being on the smaller ecoTEC plus 824 and ecoTEC plus 831, with the brass valve being used on the bigger kW outputted ecoTEC plus 837 and ecoTEC plus 937. There are some other variations to this, but basically that’s pretty much it. As a Vaillant ecoTEC owner, one of the main reasons you may have chosen to buy Vaillant, is that they are rated about the best domestic brand of boiler you can possibly purchase, hardly ever suffering any problems or breakdowns throughout the life of the boiler. In our experience and for whatever reason, lots of people don’t actually ever bother going down the route of system water investigation! This could be because they just can’t be bothered to do so, or they just might be very busy people, not having any spare time to get a plumber in to quote for a system flush. It also could be that they are planning to move house in the next couple of years, and will just leave it! Occasionally a customer will say that they have had dripping or leaking water before, from the area underneath where the boiler’s Diverter valve is positioned, but now it all seems to have cleared up and is not leaking anymore. It would be great if the leak had permanently gone, but alas, unfortunately and in all probability, the problem with the faulty leaking Vaillant ecoTEC Diverter valve has just gone away for the summer! This is because in summer, when the heating is not being used and the boiler is mainly in hot water mode, this puts the position of the piston rod in the valve, in a new or different position. In this other position, a different cleaner part of the piston rod (which has no brown staining on it) makes a good clean watertight seal with the O-ring seal. This results in no water being able to leak out, but this of course is only temporary! When the heating is put back on again in the Autumn, the piston now moves back to it’s more normal position, and unfortunately, the Diverter valve will almost certainly start leaking again, resulting in a new Diverter valve still needing to be replaced to resolve the leaking issue. The good news is, if you prefer to, you can just change the Diverter valve in the ecoTEC plus or pro boiler, without investigating the dirty system water issues (ideally though you really should think about getting the dirty system water issues checked out). This is because with a brand new Diverter valve fitted, you should get a good few years down the line (time wise) before, any signs of leaking problems, show up on the Diverter valve piston rod again. So, if your choice is to just replace the leaking Diverter valve, we here at Glowcare can carry out the replacement for you. We cover most areas in North West England. Glowcare are Vaillant Group’s dedicated service agent for the North West of England, Est. 1992. We carry both the brass and plastic versions of the Diverter valve, both with a 1 year guarantee.